In the search for life on other planets, the focus is always on water. If there is water, there is a chance that life, as we know it, could exist elsewhere. In all that excitement and speculation, though, we sometimes lose sight of the way we use and manage water on earth. An essential commodity that is too often taken for granted, the way in which water is managed fundamentally shapes the way in which we live. From pipelines allowing the construction of new communities to canals altering the landscape, water is not only consumed, but managed to change social and economic structures around the world. At the same time, however, the mismanagement of water has led to tragedies. From Flint to the crises in some Indigenous communities, the contemporary structures that shape water use have privileged certain groups over others. 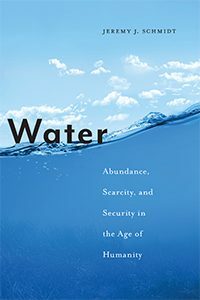 The roots of that structure are the subject of Jeremy Schmidt’s new book, Water: Abundance, Scarcity, and Security in the Age of Humanity. In this episode of the History Slam, I talk with Professor Schmidt about the book. We talk about the origins of western water management, the exportation of that structure around the world, and the ways in which water has become a commodity. We also talk about individual efforts to challenge that structure and ensuring access to clean water for everyone.